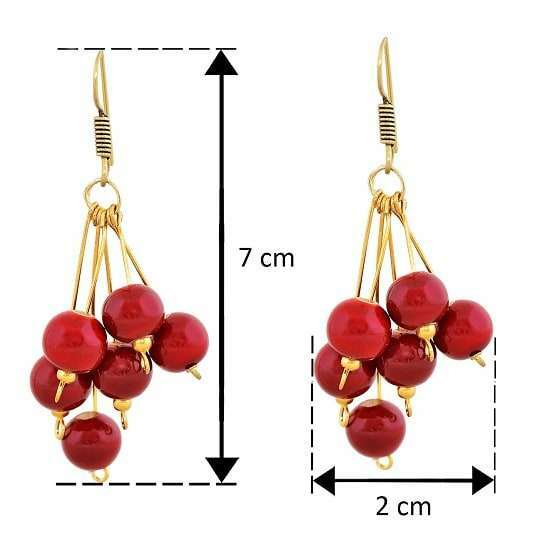 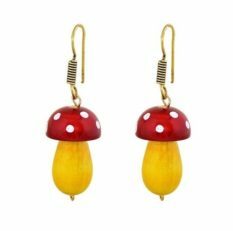 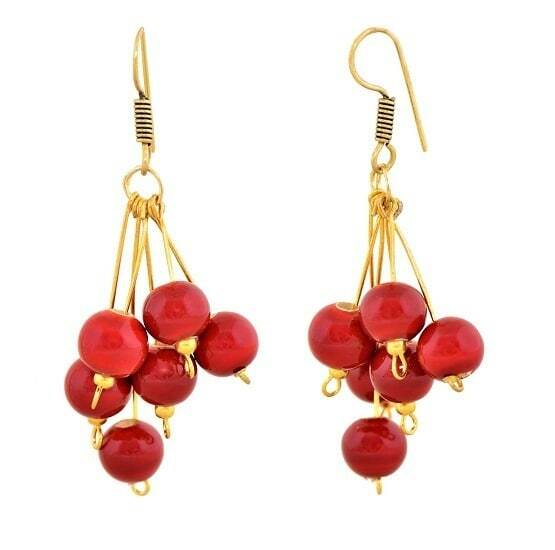 Red droplets bunched as cherries hanging from a golden stem is an exalted expression of elegance. 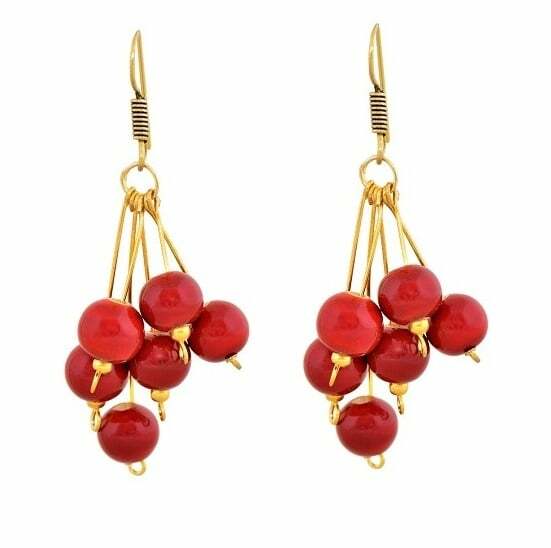 This channapatna bead earring will add oomph to any outfit. Fashion Tip: Team it with your western outfits to give a Indo-western twist.